I've mentioned the negative connotations on bloggers countless of times but people really do look down on you when you're at a fashion event, and your greatest response to "what do you do?" is "fashion blogging". 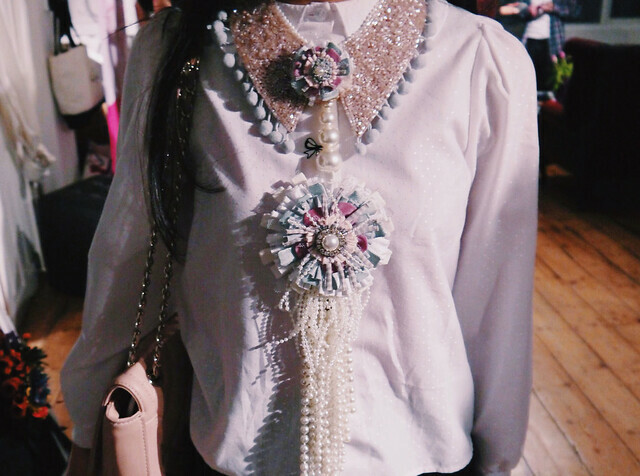 If there was a hierarchy in the fashion world, bloggers would most probably be positioned in the lowest chain. So it is not a surprise when a blogger-based event is equally met with the same disapproval. However, none of this stopped me from attending Bloggers Fashion Week, an event hosted by Bloggers Love. 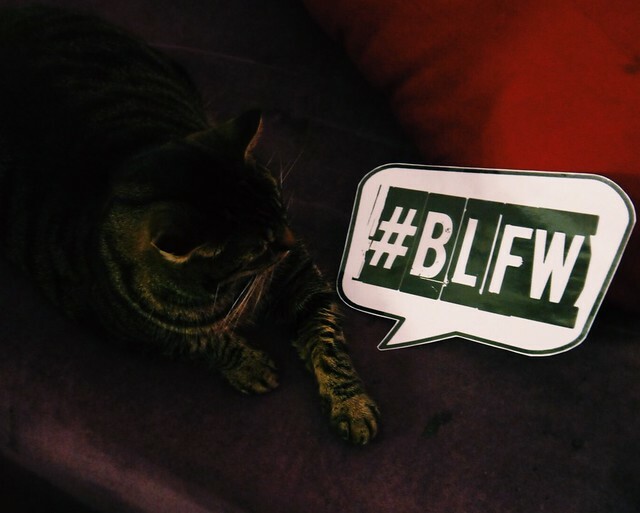 Basically, Bloggers Fashion Week is a two day event that helps promote local and international brands through exposure to bloggers as well as a hub for bloggers to get to know each other. I didn't see any loss in going; it was free and it felt like a breath of fresh air to go to an invitation-less fashion event which for once - was very welcoming towards bloggers. And I was right. It was worth the endless google map searches and walking through a dodgy street in London asking directions towards 4th Floor Studios. Mind you, this place was dead scary and I, with my bright green coat, looked like a telytubby in the midst of a setting for Nightmare on Elm Street. That was on the outside though, one step into the place and it was quite the unexpected. Stalls of fashion brands lined up, bloggers buzzing from every angle, a mini catwalk prepared, a snack bar, DJ in full action and an adorably fat cat present too. Yes, it was like stepping into freaking Narnia guys. I'm wearing a Get Clobbered glitter collar with pearls. Get Clobbered was one couture accessories brand that stood out to me the most. This literally is the perfect brand for "statement" accessories, because these pieces alone with even the most basic potato sack on you, would create conversations. White tee and just jeans on? Throw in a Get Clobbered collar and it would almost make me look like I actually know what i'm talking about when I yap on about fashion on this blog. Get Clobbered says to value craftsmanship, which I can see through their intricate patchwork and design. I guess this is why they stood out at BLFW, the idea of appreciating artistic methods of producing accessories bring out an authentic individual style. 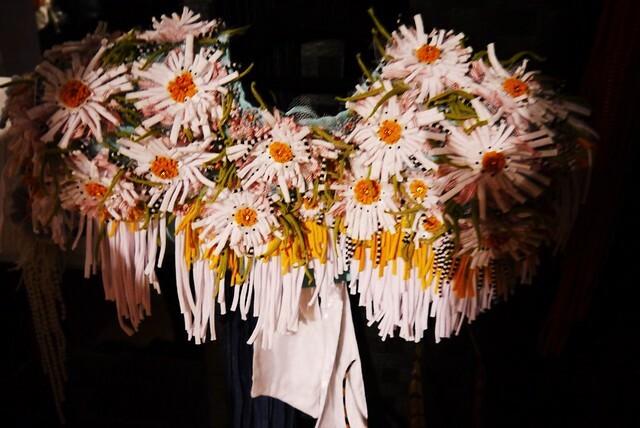 The fact that all of this was made out of recycled materials was just a bonus to their designs - hello, ethical fashion and uniqueness? Fruit dress designed by First Fruits. Interesting side note: this dress was also featured in London Fashion Week. The past few weeks, I've been eyeing all things crochet thanks to a recent asos magazine editorial. I've been contemplating on this dress to wear with a pointy collared white blouse. So stumbling across Eva Cammarata was like hitting the jackpot. 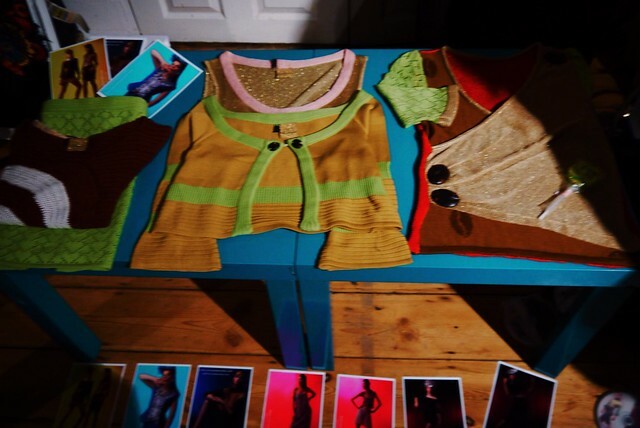 The mix of textiles, notably crochet knitwear skirts and a very 70's colour scheme is so underrated. Just like the previous brand, Eva Cammarata practices an environmental friendly and sustainable manufacturing process. 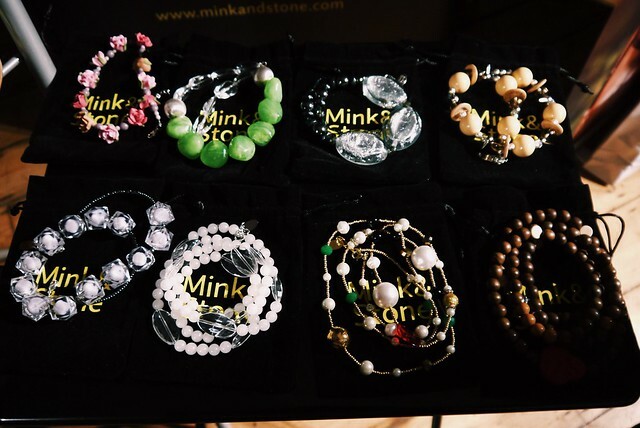 Mink&Stone based on custom made jewellery, exhibiting a very bohemian style. Again, also very underrated. 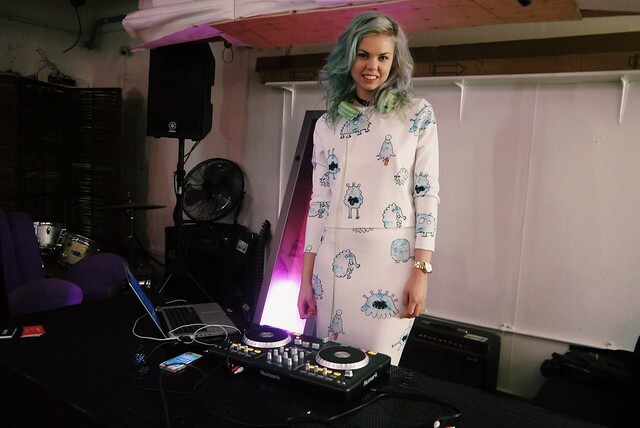 DJ Fabienne with her cartoon patterned two piece. Ending this post with a few of the free stuff I got from the beauty bar at BLFW. Benefit cosmetics, LipGlam, Umberto Giannini and Exuviance products. The experience really took me by surprise. Despite the space being relatively small compared to usual fashion venues, it didn't really bother me as it provided an excuse to chat up with bloggers while waiting for a turn around booths. The atmosphere of enthusiastic bloggers was so different and exhilarating at the same time and I can assure you, I'll be back for the fourth season of Bloggers Fashion Week. It would mean the world if you would check out my blog!